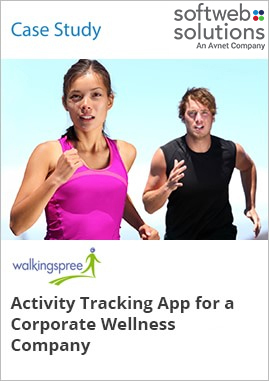 Walkingspree required an Android app for its corporate wellness program to help users monitor and analyze their daily physical activities. In addition, leading activity trackers needed integration with the app for synchronization of data between the tracker and the app. Softweb Solutions created an easy-to-use Android app that lets users measure, monitor and analyze their progress throughout the day. The Android app was coded in Java using the Eclipse IDE with a heavy focus on data management, analysis and social interactions.